Avalon Children’s Montessori School is celebrating over 15 years in the Beach! We are the first Montessori school in the Beach to offer a Senior program, prepared specifically for the adolescent child. 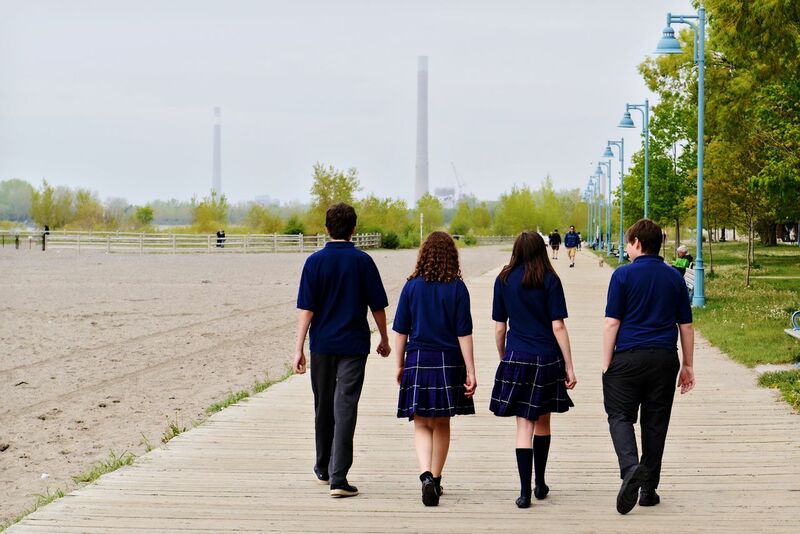 The Senior School curriculum provides guidelines that frame the student’s educational experience while incorporating the Montessori concept of “focused freedom”. It is an alternative to middle school that supports the social, emotional and academic needs of young adolescents as they move from elementary school to high school and beyond. Here students can test, discover, experience, share and celebrate. It is a place where students and teachers work and study together, providing community, affirmation and support. Teachers encourage students to work at their own pace while guiding them towards the overriding objectives. Scheduling permits long, uninterrupted work periods that encourage focussed concentration while allowing for the questioning, discussion and debate that animate and drive growth at this age. Time is provided for students to collaborate on both self-initiated and instructor-initiated projects. Class meetings and discussions give students firsthand experience in teamwork, conflict resolution and personal responsibility. Additional opportunities for students to contribute and recognize their value arise from community service both within the school and the community at large. Reflection and introspection are built into the curriculum at Avalon. With support from the teacher, students reflect on their work and their learning styles, discovering ways to build on their areas of strength and to develop their areas of weakness. Areas of study may be teacher directed, self-directed or done in collaboration with peers. Students have the opportunity to demonstrate their understanding of a concept in a variety of ways, one of which may be formalized testing. Areas of study include Language Arts, Mathematics, Current Events, Science, Geography, History, Health, Physical Education, Drama, Art, Music, and French. Avalon’s unique approach enables students to develop the skills necessary to become globally aware, socially responsible, self motivated, intelligent leaders of tomorrow. Embracing the unique characteristics of the adolescent, our Senior School provides the means to a quality education and personal achievement. Upon completion of the Senior program, students graduate ready to meet the expectations of secondary school. For more information, click here to view our Senior School Brochure. Ask us about our NEW LEARNING SUPPORT PROGRAM, starting September 2017.